Infernium; When anxiety, stress and beauty becomes horror - Horror.com Forums - Talk about horror. Hi, I've been working for a year in Infernium. It will come out in a month for PC, Switch and PS4. 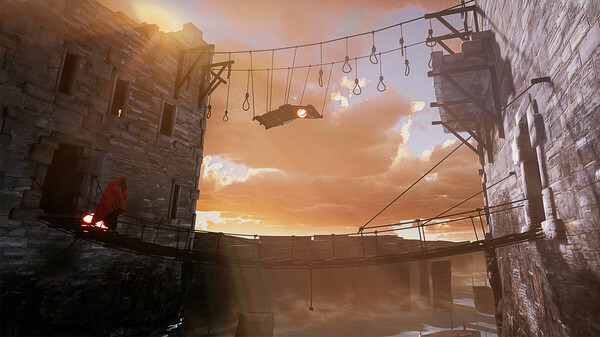 The game takes place in an interconnected non-linear level design world and you need to scape from there. What is special about the game is quite simple: instead of cheap jumpscares in dark environments, the enemies are wandering in plain sight in beautiful environments. Where is the F. Horror then? Easy. You can see the enemies, but that doesn't mean you can avoid them. The game will constantly force the player to focus in other tasks while someone is constantly chasing you, for example. It has a "permadeath" system, a photomode and Twitch Integration and Mod Support for PC. If you have any question feel free to ask me here or in the game hub!